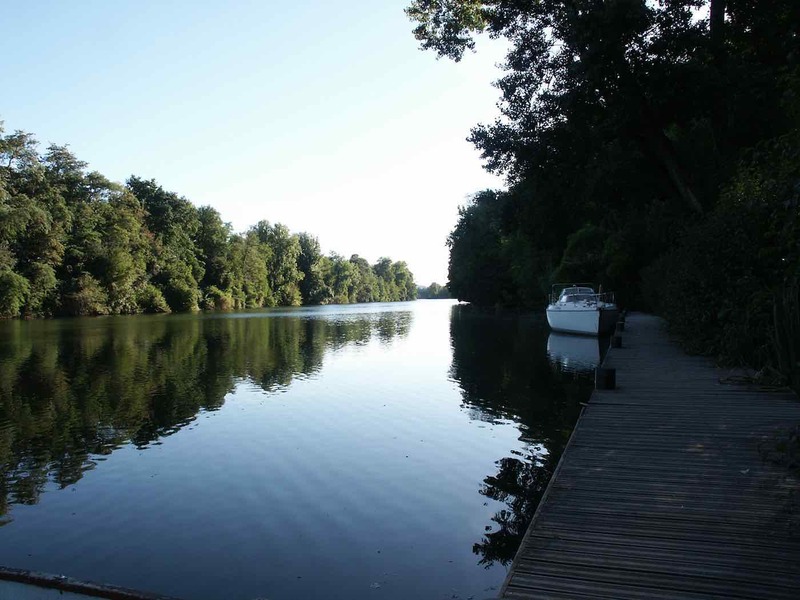 Aquitaine Gites in located on a night fishing section of the river Lot. In 2010 we improved both our fishing point and access to it. We now have a 6m decked fishing area at the end of our landscaped gardens, accessed via a security gate, which provides private riverside fishing for our guests. 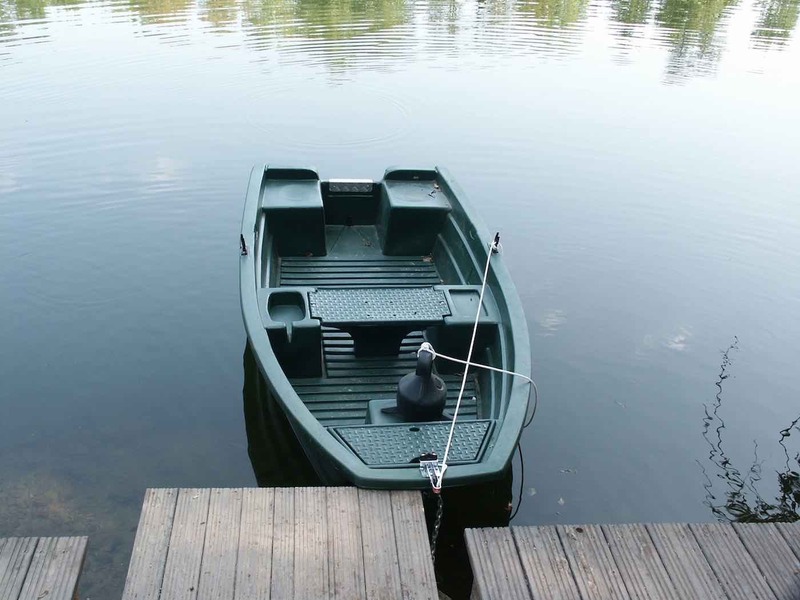 In 2011 we bought a 3.2 meter boat with 55lb Minn Kota electric motor and marine battery, suitable for 2 to fish from, available for allotted periods of the day and all night via a booking system that gives everyone a chance to use the boat if they wish. There is a large variety of fish to catch from our fishing point including Zander, Pike, Black Bass, Carp, Bream, Chub, Perch, Roach, Tench, Gudgeon and Barbel, with all year fishing for certain species. The river Lot is an all year Carp river with the record Carp caught weighing 31.5kg (69lb). 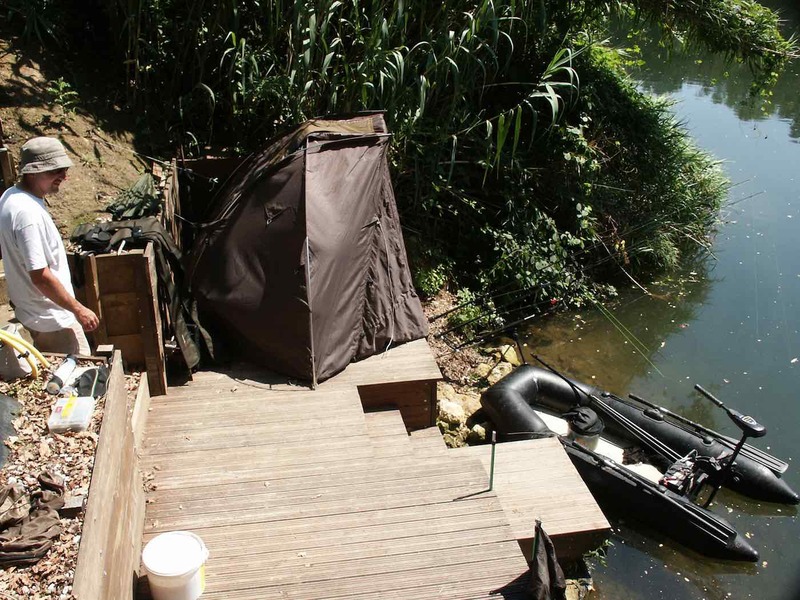 Our fishing point is located on a section of the river which is authorised for all year round Carp night fishing. See if you can land a record for our fishing point. The current record, set in July 2011 is 16.2kg or 35.7lb. Our local fishing shop inform us that 200 meters down river from us a 20kg or 44lb carp was caught recently. With Pike, Black Bass, Perch, Zander and Silure all in our section of the river, there’s plenty of choice for the predator fisherman. Our boat was delivered in August 2011 and on the first morning’s fishing, 7 Black Bass up to 32cm and a Perch of 30cm+ were caught. There are many local fishing points on the river including a public pontoon just a four minute walk from us. A favourite spot with the locals is just a five minute drive at Casseneuil, where fisherman can be found throughout the year. We also have 8 local fishing lakes all between 10 & 30 minutes drive from us with a mixture of Carp, Trout, Black Bass, Chub, Bream, Pike and Zander. Our local fishing shop is just a 4 minute drive away stocking all you will need in bait and tackle. It is opposite the local supermarket. All of the venues listed above are covered by the french fishing license either specific to Lot et Garonne department or for the whole of France. The license can be obtained from our local fishing tackle shop or online at www.cartedepeche.fr which has an English and German version. The costs of the various options are listed below. Please note the French annual license runs from 1st January to 31st December regardless of when you purchase it.